Blockchain Technology: Can It Change Education? Blockchain technology, a data management tool forecast to disrupt a wide range of industries, has taken off for two main reasons: 1) it makes sensitive data simultaneously more shareable and more secure; 2) it takes sensitive data out of the hands of third party authorities and puts it back into the hands of its users. In the realm of education, this means everything from taking ownership of one’s learning credentials, to legitimizing one’s informal learning achievements, to expediting one’s knowledge transfer, to streamlining the job application process—all more easily and more securely. Educators and policymakers are in the earliest stages of applying blockchain tech to teaching and learning in these ways, but the possibilities point to a long-overdue disruption of the current education system. First things first—how does blockchain work, exactly, and what are its main benefits? In other words, organizations don’t need to know everything about us, and it’s becoming increasingly critical that they don’t. Each member maintains his or her own copy of the information and all members must validate any updates collectively. The information could represent transactions, contracts, assets, identities, or practically anything else that can be described in digital form. Entries are permanent, transparent, and searchable, which makes it possible for community members to view transaction histories in their entirety. Each update is a new ‘block’ added to the end of a ‘chain.’ A protocol manages how new edits or entries are initiated, validated, recorded, and distributed. Cryptology replaces third-party intermediaries as the keeper of trust, with all blockchain participants running complex algorithms to certify the integrity of the whole. 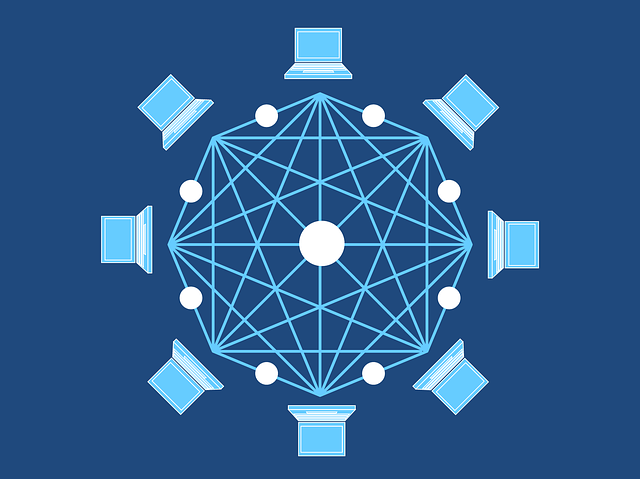 Information on a blockchain can be thought of as a kind of public ledger for a specific group, designed to keep information secure and in the hands of only those to whom it is most relevant. “The responsibility of keeping accurate ledgers has traditionally been assigned to a variety of institutions,” the Commission writes. “Governments control ownership of land by controlling ledgers of property; banks control the world’s monetary system by holding the ledgers for currency; while stock exchanges control large shares of the business world by holding ledgers for business-ownership. But as data breaches become more frequent, trust in these third party intermediaries is waning. In the job sector, blockchain technology could help employers, job seekers, and organizations alike. Employers could better validate the accuracy of information supplied by job applicants, which could make the hiring process more efficient for recruiters and human resource managers. Job seekers could benefit from more personalized information management that matches their skills with job offers. Organizations could use the technology to automatise payments, contracts, and other documents and procedures. But as we’re here to discuss the future of education, let’s take a look at how blockchain technology could benefit learning. How Could Blockchain Change Education? Today’s students receive an education in both formal and informal learning settings, not just traditional brick-and-mortar university lecture halls. There are MOOCs and other online courses, workshops and conferences, co-learning spaces and boot camps. Since records are stored permanently on a blockchain, documents like degree and course certificates can be secured and verified regardless of whether a user has access to an institution’s record-keeping system. With blockchain, only a select few—namely the parties responsible for verifying a student’s identity—can have access to the data. Other than that, it’s in the student’s hands. Blockchain allows personal data to be just that—personal. The success of blockchain pilots in one country could then be used to encourage knowledge-transfer across nations. Credit transfer is a thorny process, often leaving students at a disadvantage when they find, for example, that they must repeat courses to fulfill a new institution’s requirements. There are a few existing resources, e.g. social networks and e-portfolio companies, that provide users with a way to record their learning during and beyond schooling. But they don’t take advantage of digitisation the way blockchain does. With blockchain tech, learners could store their own evidence of formal or informal learning, share it with a desired audience, and ensure instant verification. Finally, a way to record lifelong learning. In theory, blockchain could allow educators to publish content openly, while keeping track of re-use, without putting limitations on the source material. Students and institutions could then make metrics-based decisions on which teaching materials to use. Teachers could announce the publication of their resources and link to those resources, or announce which other resources they used in creating the material. Coins could be awarded to educators according to the level of reuse of their respective resources. For example, a smart-contract could distribute payment to authors based on how often their material is cited or used. Authors would no longer have to go through intermediaries such as research journals, which often limit use by charging high fees for access. Validating credentials across education systems is not a simple business. In Europe, for instance, there are hundreds of accreditation pathways, through both public and private institutions, and employers therefore need to verify not only the issuer of the credential but the quality of the institution issuing the credential. Currently, the verification process involves consulting the institution itself, determining the quality of the accreditation the institution claims to have, confirming this issuance with the accrediting body itself, and checking with the governing authority to see if the accrediting body is authorized to operate in its particular capacity. “This is an extremely time-consuming and technical process which requires experts in accreditation to manage,” the Commission says, noting how entire networks of agencies with offices in every EU member state currently exist to manage the process. Blockchain could allow students to pay for their education via cryptocurrency, which would eliminate barriers such as restricted access to bank accounts or credit cards depending on country of origin. Several universities around the world are already implementing blockchain technology and reaping the benefits. The University of Nicosia on Cyprus claims several “world firsts” in using blockchain for education, including accepting Bitcoin for tuition for any degree program; offering courses on cryptocurrency and degrees in digital currency; and issuing academic certificates onto the Bitcoin blockchain, using its own in-house software. The cryptocurrency course alone has attracted students from over 80 different countries since its launch in 2014. In 2015, the Massachusetts Institute of Technology’s Media Lab began using cryptology and blockchain to develop Blockcerts for issuing digital certificates to groups of people in its broader community. In 2017, MIT issued its first round of Learning Machine (LM) Certificates, commercial versions of Blockcerts, at the Media Lab and the Sloan School of Business. This is the first example of recipient-owned diplomas. Terrific article, Sara, with massive (and, overdue) implications for the education sector. Do you think that ‘blockchain’ could lead to practioner empowerment, with more teaching delivery time and less bureaucracy? What a great think piece. Fortunately I joined the speculative throng in 2018 and got behind a few blockchains however from a practical point of view the deeper potential of the technology was crowded out by endless discussions about monetary value. Perhaps in 2018 we will begin to see more use of blockchains in IP and education; that would hold immense appeal for me as a content creator, student and educator: a well-designed ledger should be reasonably hard to threaten and when applied to course grades, for example, there will be less need to perform silly tasks like visitng a JP so that they can promise that a photocopy of a transcript is true and valid. Instead the grades will be added to the ledger as they are created. For those of you who’ve watched Ferris Bueller’s Day Off (https://www.youtube.com/watch?v=Hh_vLKlz2Mc) or WarGames (https://www.youtube.com/watch?v=U2_h-EFlztY) you may recall the scenes where creative “hackers” logged into the school’s records and awarded themselves good attendance and grades. With the blockchain achieving such fraudulent outcomes is much, much harder to accomplish and a greater degree of honesty might be achieved. From a practical point of view we might be able to lessen the burden of marking and achieve fairer and faster election results. Very very Interesting. As one who is adept in online learning this article is an eye opener. What it can’t do is improve the educational models and approaches that are currently being used in schools and at universities. Blockchain Technology (BT) may prompt us to move towards better models but who knows! Improving education will require a lot more than BT. It requires some visionary thinking and practices that embrace what we already know is best practice, rather than continue rolling out “improvements”. These incremental improvements seldom help much, as seen by the learning outcomes across the board. With the area I am involved in, language education, arguably the outcomes have even deteriorated. Really very well explained article. I learned a little more. Not many articles were seen on its applications and implications on Education. The article gives a very good description of the technology and the opportunities it opens up to in a simple and ease of understanding.